Amid wider sectarian and interreligious tension, Pakistan’s harsh blasphemy laws are a serious threat to peace and social stability. “Blasphemy” is punishable by death under law, and accusations often followed by mob brutality with fatal consequences. The constitution establishes Islam as the state religion. Despite the constitution’s promise of adequate provisions for minorities to practice their religious beliefs freely, many of Pakistan’s laws and policies restrict freedom of religion or belief. Chapter XV of Pakistan’s Penal Code contains a number of sections that institute blasphemy and religious defamation laws: Article 295-A outlaws “deliberate and malicious acts intended to outrage religious feelings of any class by insulting its religion or religious beliefs”; Article 295-B outlaws the defaming of the Quran; Article 295-C bans the use of insulting remarks about the Prophet; Article 298 prohibits people from saying anything that had the deliberate intent to wound religious feelings; and article 298-B punishes any misuse of epithets, descriptions, or titles reserved for certain holy personages or places. The blasphemy laws are further bolstered by the Anti-Terrorism Act, which states that any action, including speech, intended to incite religious hatred is punishable by up to seven years’ imprisonment. 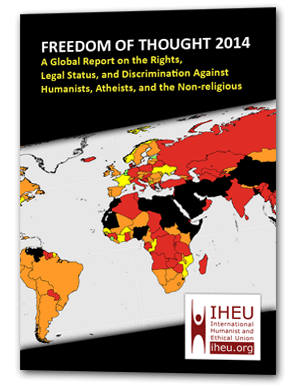 Whilst applicable nationwide, the country’s blasphemy laws are used predominantly in the Punjab province. Blasphemy laws carry the death penalty or life in prison, and tend to target non-believers, religious minorities and dissenting Muslims. Though there has been an effective moratorium on carrying out the death sentence in recent years, dozens of people at least remain on death row, and furthermore those accused of blasphemy are often murdered before or after any trial takes place (see below). Notably, for a charge of blasphemy to be made in Pakistan an allegation is all that is required – and it may be highly subjective, since the laws do not provide clear guidance on what constitutes a violation. Proof of intent or evidence against the alleged is not necessary and there are no penalties for making false allegations. In September 2013, the Council of Islamic Ideology recommended against amending the blasphemy laws to add procedural safeguards, noting situations of misuse or fraud could be penalized through other sections of the Penal Code. In December, the Federal Shariat Court (FSC) stated that the death penalty is the sole appropriate punishment for blasphemy and recommended the removal of life imprisonment as an option when sentencing. The government was looking to review this recommendation, but have taken no action as of November 2014. Mostly, blasphemy cases are either brought by those wishing to undermine minority groups or by those wishing to eliminate individuals against whom they have a feud or grudge. The mere accusation of blasphemy against someone can result in the accused’s life being endangered. For example, in November 2014 a married Christian couple, Sajjad Maseeh, 27, and Shama Bibi, 24, who was pregnant, were attacked by a mob of around 1,200 people after rumors that they had burned verses from the Quran. After their legs were broken to prevent them running, they were set alight and thrown in a kiln. As is often the case, the origin of the rumours have subsequently been linked to an interpersonal conflict, in this case, “revenge for unpaid bills”. Mullahs will often come to court to intimidate the judiciary, and obtaining a lawyer to ensure a fair trial is often impossible. Those accused of blasphemy, and who have been acquitted by the courts, most often either flee Pakistan or are assassinated on their release from jail. Clerics and radicals have been found to have brought forward cases of blasphemy after fabricating evidence and facts. Blasphemy laws are also used specifically against the minority Ahmadi community. Pakistan’s Penal Code 298 contains anti-Ahmadiyya blasphemy legislation. Whilst Ahmadis have the Quran as their holy book, they can be punished with up to three years in prison by just referring to their faith as Islam. At the end of 2013, a 72-year-old doctor and member of the Ahmadiyya community, Masood Ahmad, was imprisoned for ‘posing as a Muslim’ and heresy after being secretly filmed reading from the Koran at his surgery. In May 2014, A Pakistani mob killed an Ahmadi woman member two of her granddaughters after an Ahmadi was accused of posting blasphemous material on Facebook. Muhammad Asghar, a British businessman who returned to live in Pakistan in 2010 was arrested for blasphemy and sentenced to death after he wrote letters claiming he was a prophet. Asghar has a history of mental illness, including a diagnosis of paranoid schizophrenia. In September 2014, he was shot in the back by a prison guard. There are fears for his personal safety in prison. Sajjad Masih, a member of the “Seventh Day Adventist” Christian community, was sentenced to life in prison on blasphemy charges after sending an SMS to a religious extremist group in 2011,which was said to have contained blasphemous content. It was reported in some places that the charges came about as a result of a grudge held by an acquaintance of his. In March 2014, a Christian man from Lahore, Sawan Masih, was convicted of making derogatory remarks against the Prophet Muhammad in a row with a Muslim friend. After the allegations surfaced, hundreds of Muslims attacked the Lahore’s Christian Joseph colony, torching homes,. His trial was held in jail due to fears for his safety. Masih was sentenced to death. He argues that the real reason for the blasphemy allegation was a property dispute between him and his friend. From 2010 onward, the government has been aggressive in its blocking of online “blasphemous” content. For example, perceived blasphemous content on Youtube is blocked by the Pakistani government, and the social-networking site Twitter has also been subject to blocking, as well as complicit in the censoring of material on its platform. In May 2012, Twitter was blocked briefly, and again in September that year. In May 2014, the Pakistan Telecommunication Authority requested the removal of some material, much of which mocked Islam and other religions, claiming that it was “blasphemous,” “unethical” and violated Pakistan’s Penal Code. Twitter used its Country Withheld Content tool, which blocks content in a particular nation, to comply and block several dozen Twitter accounts. After international protest, including by the IHEU, in June Twitter restored access to tweets and the accounts it had blocked. 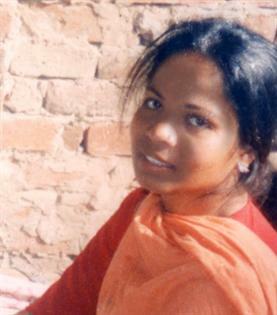 In a rare call for reform by senior authorities, in November 2014 the Lahore High Court released comments on the Asia Bibi case, saying that in their judgement on the case (16th October) they had had no choice but to uphold the earlier death sentence, but called on the government to change the law to implement higher standards of evidence in such cases. However, particularly harrowing or high profile blasphemy cases have in the recent past (such as the relatively critical response to the Rimsha Masih case in 2012) lead to widespread domestic criticism and some hope for change, without ultimately resulting in any lasting political momentum for reform. In 2013, Junaid Hafeez, a visiting lecturer of English in Bahauddin Zakaria University (in Multan, the Punjab province), was arrested and jailed on blasphemy charges after a student affiliated with Islami Jamiat Talaba, accused Hafeez of insulting the Prophet Muhammad on Facebook. There was no evidence for this allegation. Hafeez remains in jail. Rashid Rehman, a lawyer and special coordinator for the Human Rights Commission of Pakistan in Multan, agreed to defend Junaid Hafeez. The trial was conducted in jail because of the threat to his life. Rehman received death threats for representing Hafeez and he reported them to the Multan Bar Association several times but no measures were taken to provide him with security. His colleagues at the human rights commission also urged the government to provide him with security. In May 2014, two men walked into Rehman offices and shot him dead. They have not been caught and activists complain of the government seeking to bury the case.